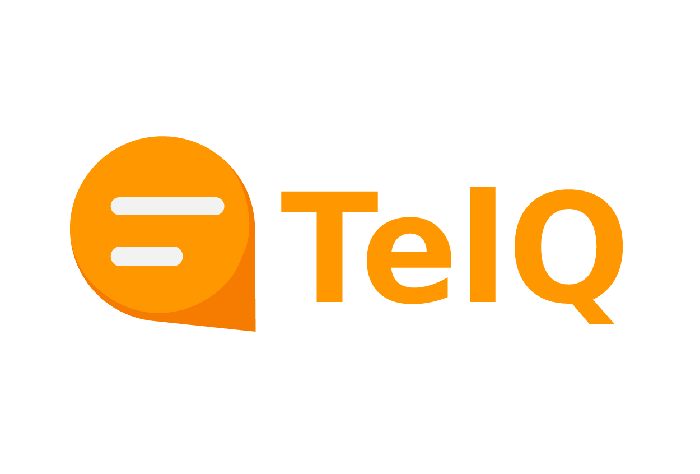 TelQ provides a wide range of integration options, including SMPP and REST API integration, as well as direct integration with the Alaris platform. 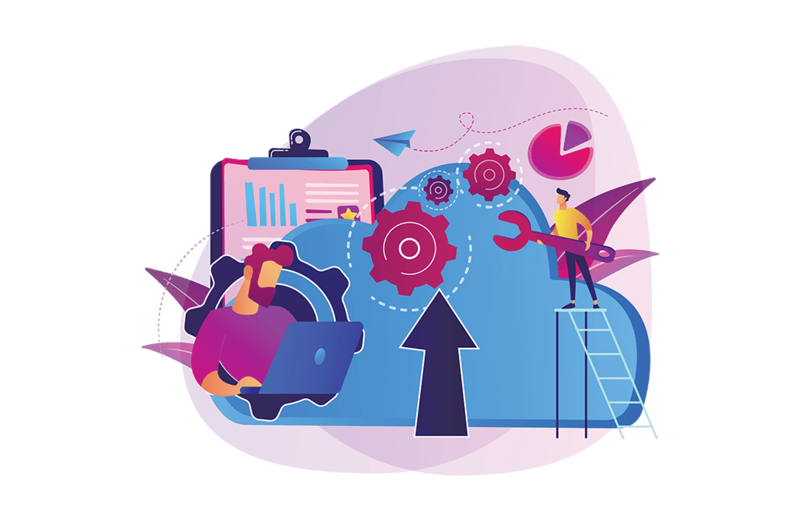 SMPP API allows you to connect directly to your SMPP server, to send and to schedule test messages from our user interface. If you already have an SMPP server, this type of integration will probably be the fastest. You can assign unique service type to each supplier for internal routing purposes. Unique TLV parameters can also be used to set up flexible internal routing on your server. You can set up multiple SMPP binds from our platform to your server with unique username and password. We encrypt your SMPP connection passwords on our backend side and keep them safe. 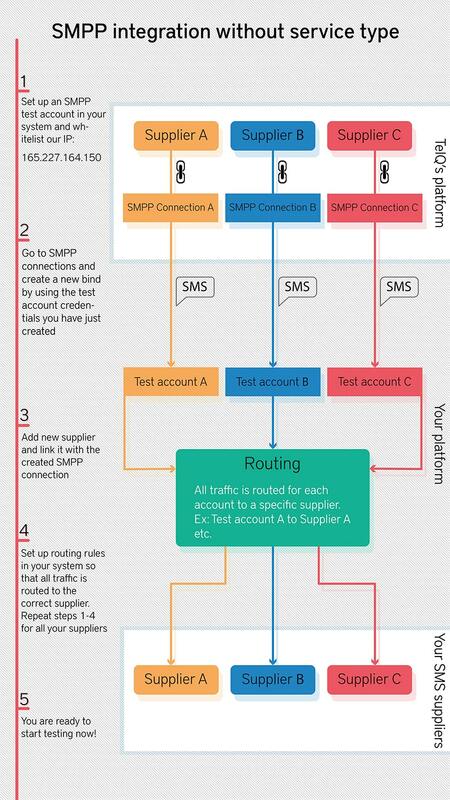 You can do routing based on internal supplier ID which is automatically added to the body of the test SMS. You can set up 1 SMPP connection to your server and assign unique Service Type, TLV or internal supplier ID to different suppliers in our user interface. When you send the test message to a particular supplier, the unique parameter will automatically be added to the message, allowing you to do internal routing based on this parameter. Assign unique identifying parameters for each supplier and set up internal routing for such messages. 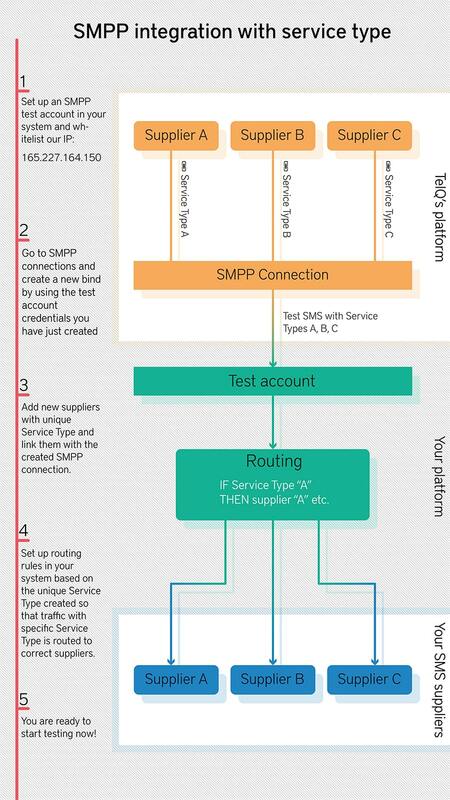 You only need one SMPP bind in order to be able to test all of your suppliers. Simple addition of new suppliers. You have full control of the traffic since we are not connecting to your suppliers directly. We can upload a list of supplier names as well as the above mentioned parameters from an excel file. This approach requires you to set up multiple SMPP connections, one per each supplier you would like to test. This works only if you can set up custom routing for each customer. In this case, the username would be the unique identifier for your system to do the routing and send traffic to the corresponding supplier. This takes more time to set up, however, it should be supported by most SMPP servers. This approach also allows you to set up flexible internal routing based on the account username. This integration approach works with most SMPP servers even the ones with the most basic functionality. REST API integration allows you to integrate directly with your system's user interface. Besides that, you also have a lot of advantages, such as complete quality- and price-based routing automation. 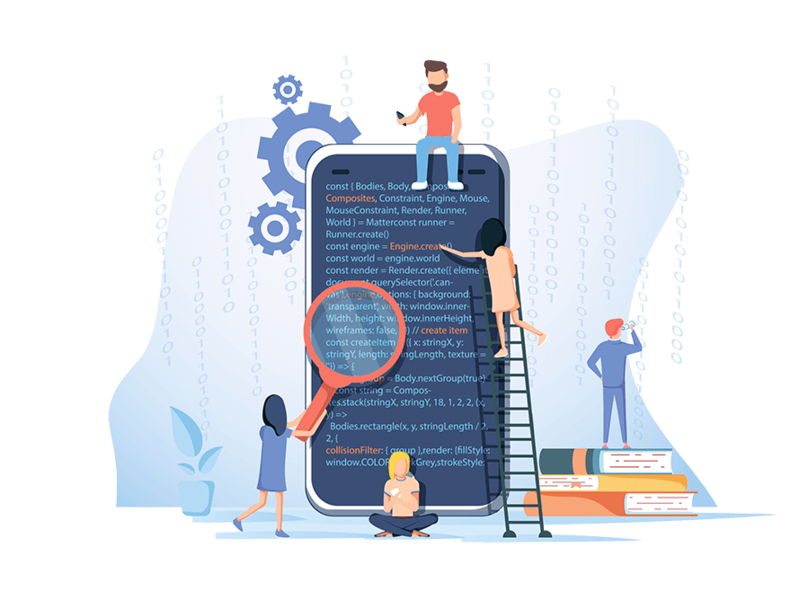 REST API allows you to integrate completely with your system and use our test results for routing purposes. Since you send tests directly from your system, you have full control over your SMPP or ss7 channels. Based on triggers set up in your system, you can automatically perform tests from your system. Please check out the full list of features we currently support.